While the 2020 College Football Playoff is nearly a year away, each team's odds can change by the day on FanDuel Sportsbook. 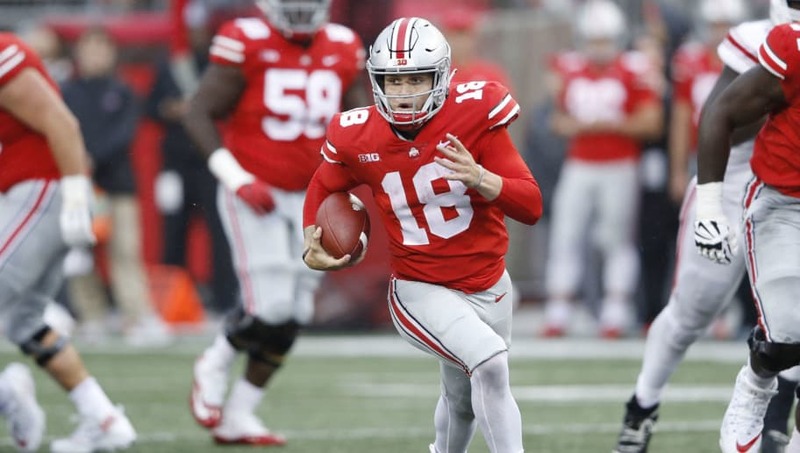 And with 5-star quarterback Tate Martell transferring away from Ohio State to Miami, as the Buckeyes are looking for a replacement for Dwayne Haskins, their future odds have already suffered the consequences. #NCAAF Odds to Win the 2020 #CollegeFootballPlayoff via @FDSportsbook seeing some early changes at the top since opening on Jan. 15, 2019. After the Buckeyes opened with the nation's fourth-best odds (+850) to win the college football title next season, Ohio State has fallen to +1000 amid news of Martell's transfer to Miami. Martell's name appeared in the NCAA transfer portal back on Jan. 10, with numerous programs on the list of new potential homes for the redshirt sophomore transfer. Interestingly enough, the Hurricanes haven't seen any action on the other end of their +5000 odds to win the 2020 CFP via FanDuel Sportsbook. The Buckeyes will certainly be returning a competitive product in the 2020 season, but watching your team's odds to win it all drop in the first week is never a great feeling.